However, last month Atlantic City welcomed two new casinos – Hard Rock Hotel & Casino Atlantic City and Ocean Resort Casino. These new resorts have the potential to revive a city that has been suffering since the turn of the millennium. The Hard Rock Hotel & Casino Atlantic City is the larger of the two new casinos and the fourth largest in the city with 2,010 hotel rooms available. Despite opening its doors on the 28th June, it isn’t the first time the building has been open for business. The casino originally opened in 1990 as the Trump Taj Mahal and was owned by the current President of the United States, Donald Trump. Costing nearly $1 billion to build, the resort was one of the largest casinos in the world and was the highest grossing casino in the city. Despite this, the casino often flirted with bankruptcy and eventually shut down in 2016. 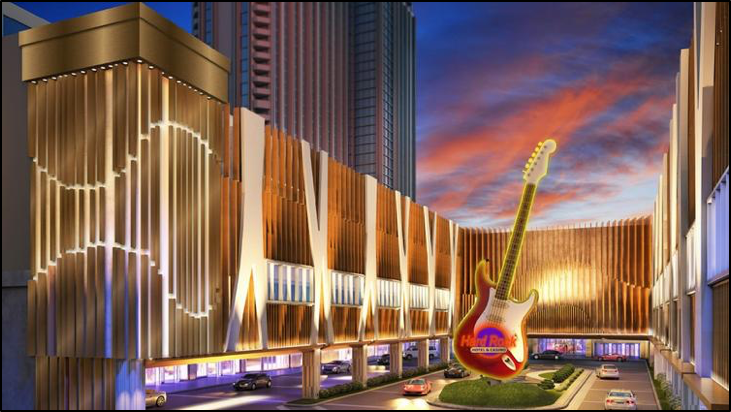 The property was eventually purchased by the Hard Rock International Group on 1st March, 2017 and reopened on the 28th June 2018 as the Hard Rock Hotel & Casino Atlantic City resort following a complete $500 million renovation. Like the Hard Rock Casino, the Ocean Resort Casino also operated under another name before its closure. Originally, the hotel opened in 2012 under the name Revel and was one of the most expensive casinos to be built, costing over $2 billion. The casino aimed to change the way at Atlantic City did business by offering top-of-the-line entertainment, just like they do in Las Vegas. However, two years later, Revel filed for bankruptcy after experiencing multi-million dollar losses in each quarter. The future of the resort was uncertain in the following few years as ownership of the casino changed multiple times. However, the resort was eventually sold at the start of this year when AC Ocean Walk purchased it for just under $200 million and immediately renamed it to the Ocean Resort Casino with a re-opening announced for summer 2018. Despite only purchasing the resort at the start of the year, Ocean Walk re-opened the casino on the 28th June 2018, just six months after they had purchased the resort! A few years ago, four Atlantic City casinos closed down which led to thousands of people losing their jobs and also required the state to take over the city’s finances. It was arguably the lowest point in the city’s history as approximately 20,000 jobs were lost. The opening of the Hard Rock Hotel & Casino and Ocean Resort Casino has led to 7,000 jobs being created so far, with the Hard Rock resort currently employing around 3,900 workers. Ocean Resort Casino also employs thousands of people. The success of these new casinos could also see smaller businesses in the city prosper and offer jobs to the locals. Although Atlantic City is a popular tourist location, it has one of the highest unemployment rates in the country, primarily due to the downturn of the local economy in the past decade. It’s no secret that Atlantic City isn’t the tourist destination it once was. Since the redevelopment of Las Vegas and the opening of new casinos in Connecticut before the turn of the millennium, Atlantic City’s tourism began to decline due to its failure to diversify away from gambling. The lack of tourists in the area led to casino revenues dropping dramatically which eventually led to multiple casinos closing, including four closing in 2014. 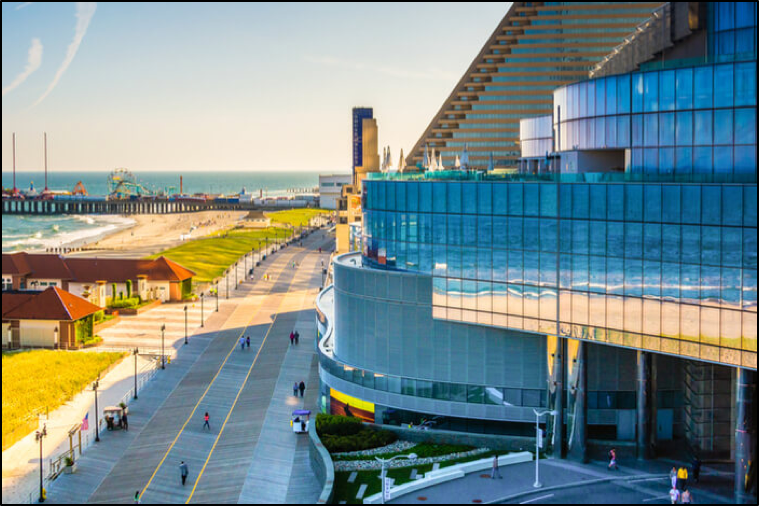 However, last month (June) was the most successful for Atlantic City this year in terms of revenue generated, estimations put the figure at around $200 million of revenue, a $14 million increase over May. As well as being the most revenue generated this year, it was also a significant increase in revenue in terms of the typical month-to-month jump. Obviously the opening of two new casinos has contributed massively to this increase in revenue, but June also saw a number of people arrive towards the end of the month to watch the AC Beach Concert: this influx of new visitors arriving probably helped the casinos experience a slight jump in revenue. The state and local officials are hoping that the opening of the two casinos will help get the local economy back on track and get the city back to its prime. The recent casino revenue figures suggest the revival has just got underway, but this could just be a short-term spike due to the recent openings, rather than a long-term win. However, with the new casinos being more focused on entertainment than gambling, and more focus being put on family-friendly entertainment in the area, Atlantic City could become a popular destination resort once again.